You can allow your members to sign in to your community using their Facebook account. To start the process, go to AdminCP -> System -> Login & Registration, click Create New to setup a new login method and choose Facebook. 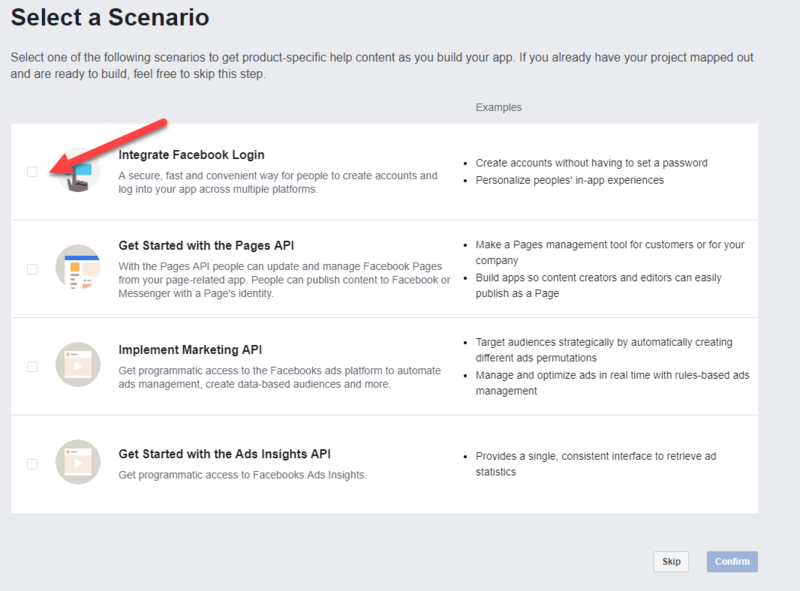 You will now be prompted to fill in some details which you'll need to acquire by creating an "app" with Facebook. 1. Go to the Facebook for Developers site and sign in with your Facebook account. 5. You will be taken to the dashboard for the app you have just created. Under the Add a Product section, select Integrate Facebook Login section and click Confirm. 7. Go to the Products > Facebook Login > Settings tab from the left sidebar. In the Valid OAuth redirect URIs field enter the value shown in your AdminCP, which will be your community's URL ending with "/oauth/callback/" on the end. You must click Save Changes at the bottom to save this. 8. If you are setting up login only, then you can at this stage set your application live. If you need to enable statuses or promotion ability, then continue through the next stages before going live with the application. Go to Settings > Basic from the left sidebar. You will see your App ID and a button to reveal the App Secret. Back in your ACP, fill in the form, using these details. Now go to the front-end of your community, log out, and log in with the Sign in with Facebook button. At this point, only your own Facebook account, which you used to create the client, will work. If it works, you can continue to the next step. Once you have done the above, you will be able to use facebook to login to your community. 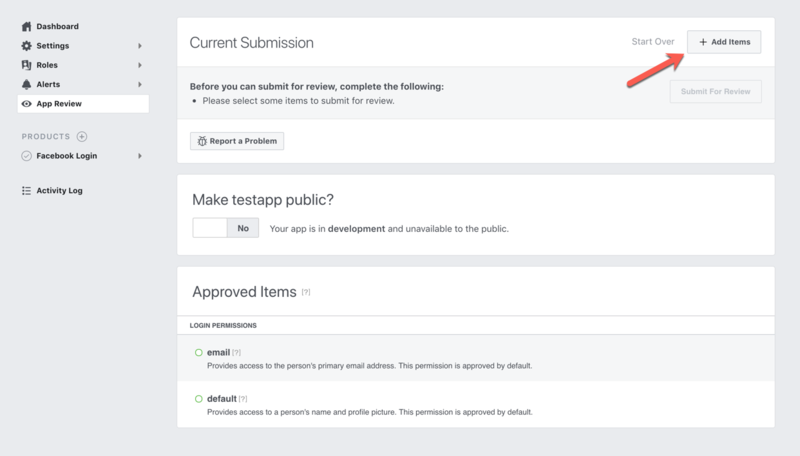 Note if you wish to enable status imports, you will need to add more permissions and get your application permissions reviewed by facebook. When setting up Facebook Login in your AdminCP you will have seen a Allow Status Imports? setting which mentions requiring additional setup. 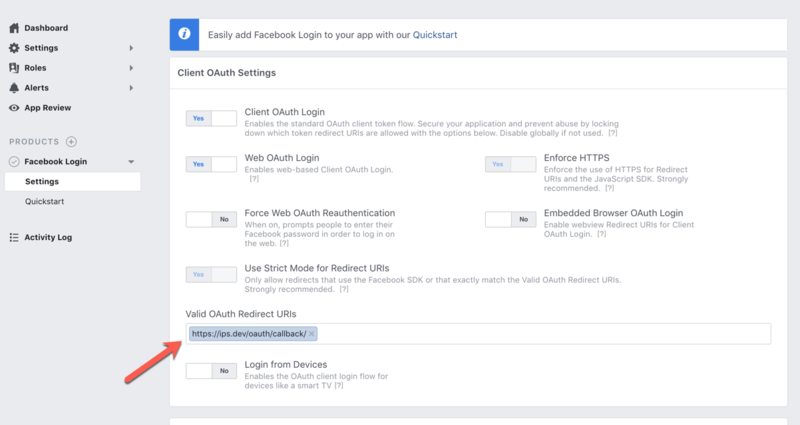 Using this feature means gaining access to restricted Facebook APIs, which, before you can do, you need to get approval from Facebook. 1. To get started, enable the Allow Status Imports? 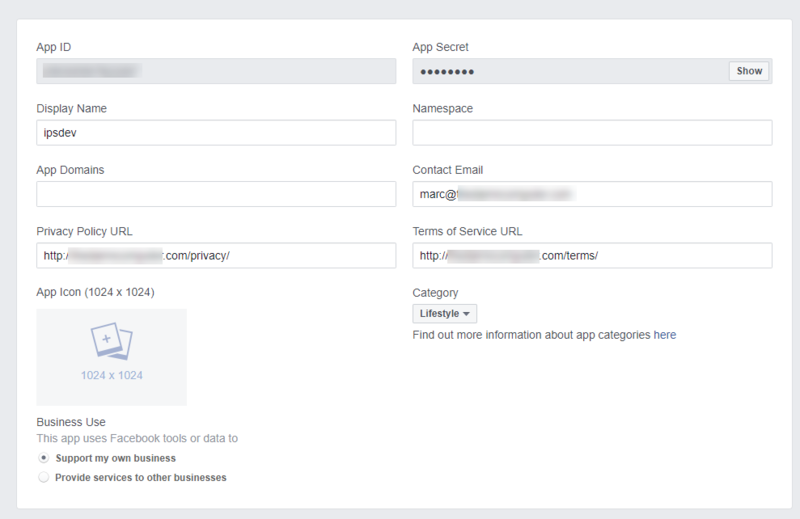 setting from AdminCP -> System -> Login & Registration -> Facebook. 4. You will now see the review, for each of the items you have chosen, there is an Add Details link. Click Add Details and fill in the form. Details for what to provide are below. In addition to these information, you will need to provide a screencast of you demonstrating that process of signing in with Facebook and doing the thing you are asking Facebook for permission for (importing a status or automatically sharing to Facebook). Make sure your video shows you doing exactly the steps in the instructions you provided otherwise your review will likely be rejected. This video needs to show your community, so we cannot provide a video for you to send to Facebook - you must record and submit it yourself. Allows users to import their timeline posts into their profile on the website. For Demontrate how your selected platforms will use this permission or feature? choose Web. 1. On the home page, click "Existing User? Sign In" in the top-right and then click "Sign in with Facebook" from the dropdown. 2. Click on your name on the top-right and then click "Profile". 3. Click "Edit Profile" and then enable the "Enable status updates?" setting to enable the site's status update feature. 4. Click on your name on the top-right and then click "Account Settings". 5. Click the "Facebook" tab. 6. Enable the "Copy my Facebook status updates to my profile" setting and save the form. 7. Click on your name on the top-right and then click "Profile". 8. Observe how your latest timeline post has been imported and shows alongside other content from the site. 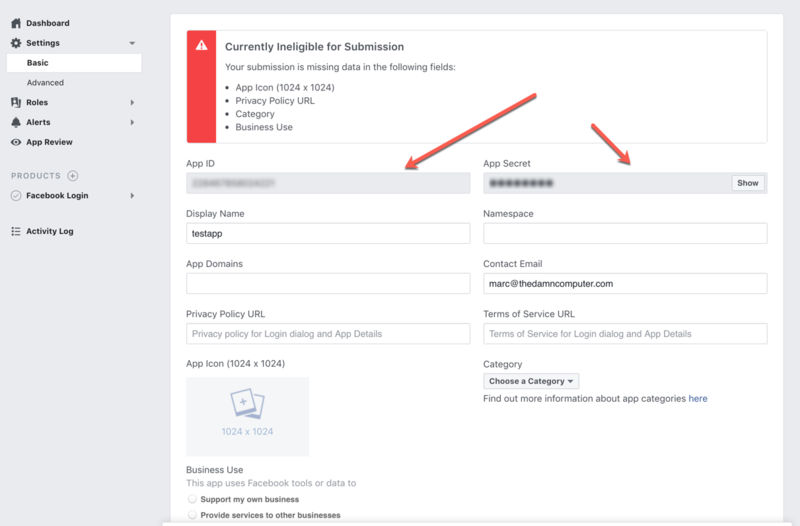 Please note that due to changes on thefacebook platform, the below process may not be the entire process required, and you may have to get your application business verified. We are working on a solution to this issue at present. In order to enable this however, you first need to ensure you have the correct facebook permissions. 1. 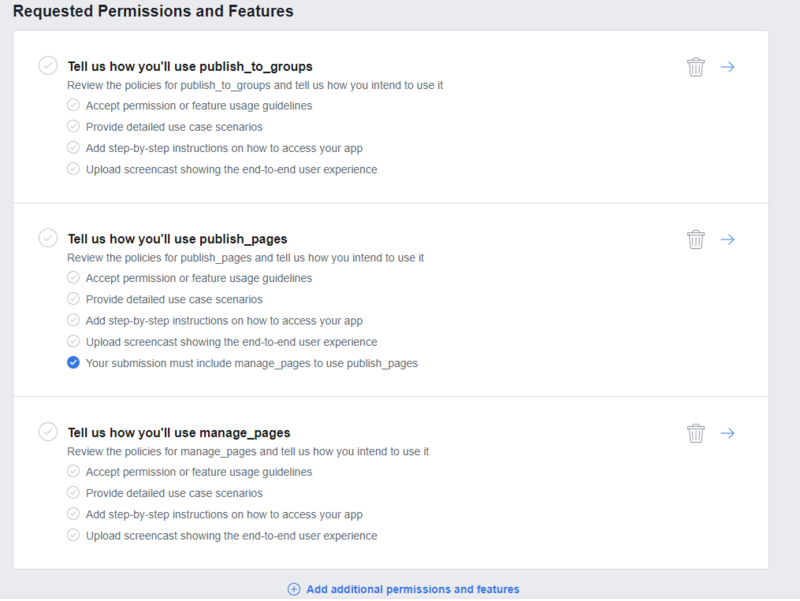 On the Facebook for Developers site, go to App Review -> Permissions and Features from the left-side menu. Details for what to provide are below. In this scenario each would contain the same information. In addition to these information, you will need to provide a screencast of you demonstrating that process of signing in with Facebook and doing the thing you are asking Facebook for permission for (importing a status or automatically sharing to Facebook). Make sure your video shows you doing exactly the steps in the instructions you provided otherwise your review will likely be rejected. This video needs to show your community, so we cannot provide a video for you to send to Facebook - you must record and submit it yourself. 1. On the home page, click "Existing User? Sign In" in the top-right, and then click "sign in with facebook" from the dropdown. 6. Do this for each item, then select Submit For Review to submit the review and confirm the submission. You will be advised how long it will take you for Facebook to approve the submission, and should receive an email once it is complete. 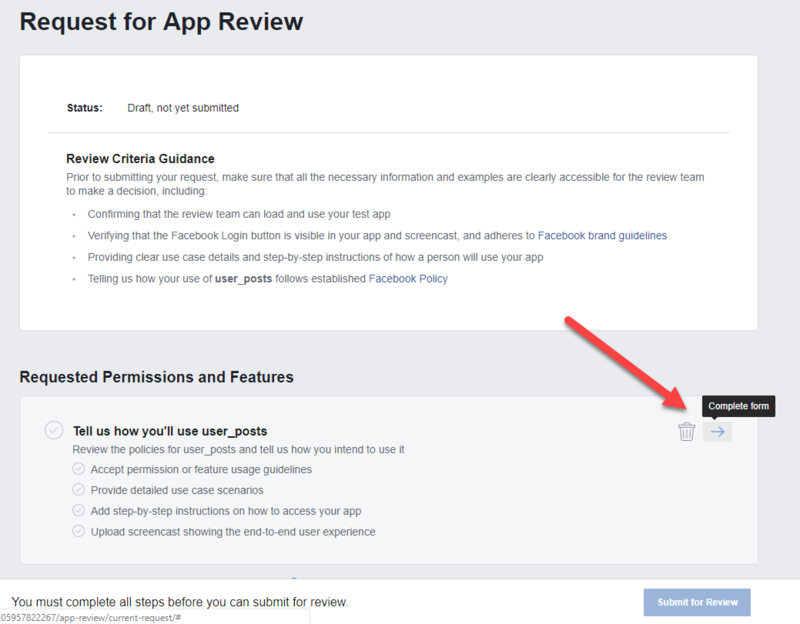 IMPORTANT: - Do not go live with your product, until you have completed any application permission reviews required by facebook for Statuses, and/or social media promotion. In the top-right you will see an On/Off switch next to Status: In Development. Click the on/off switch and confirm. The switch should now indicate On and you should see Status: Live.